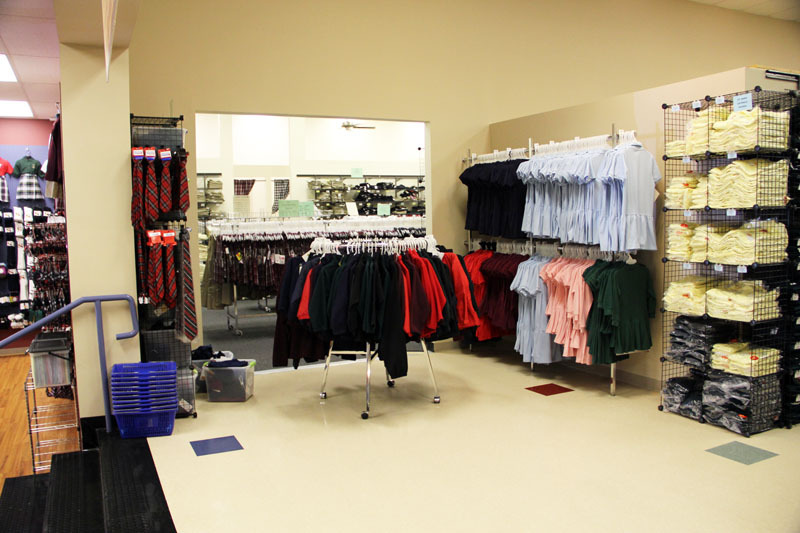 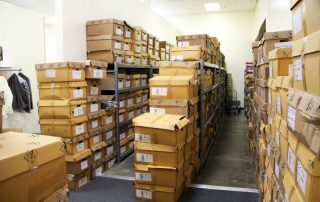 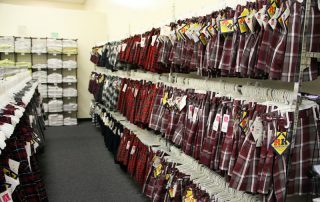 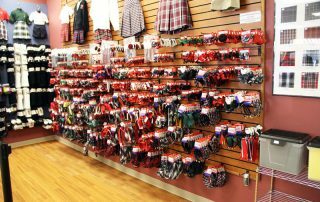 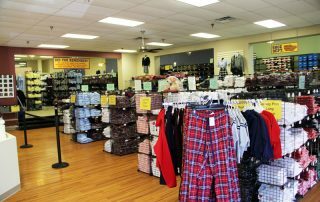 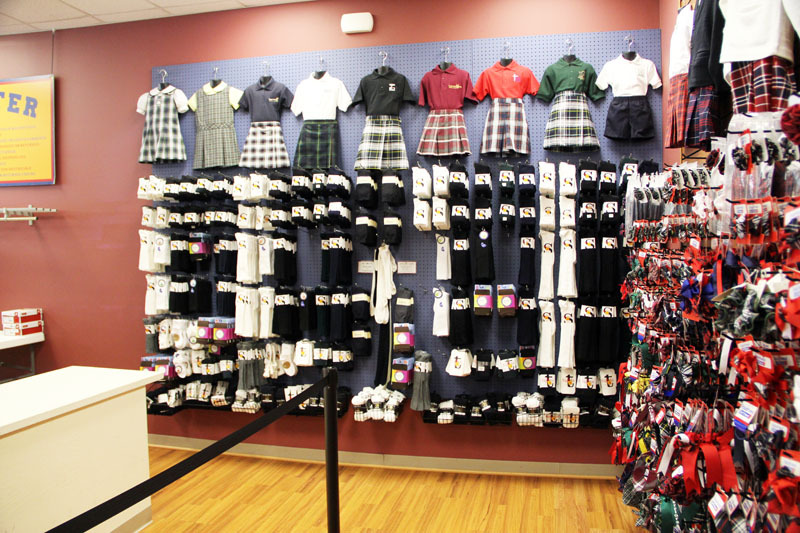 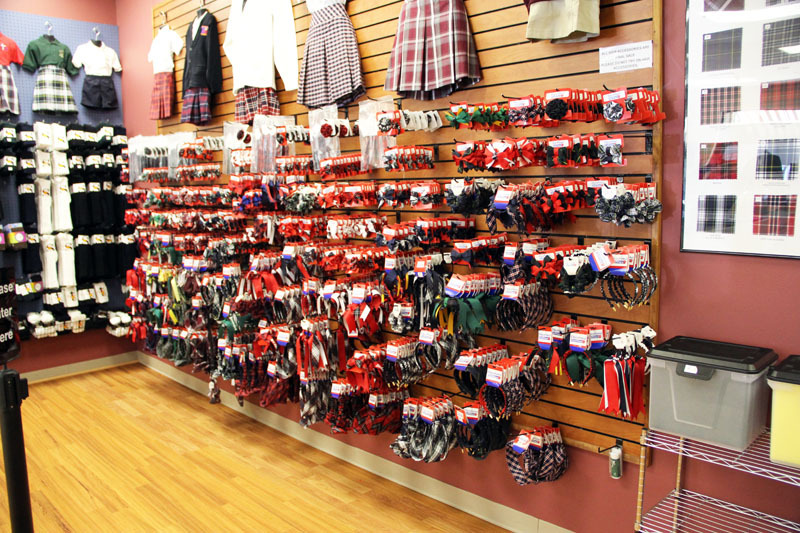 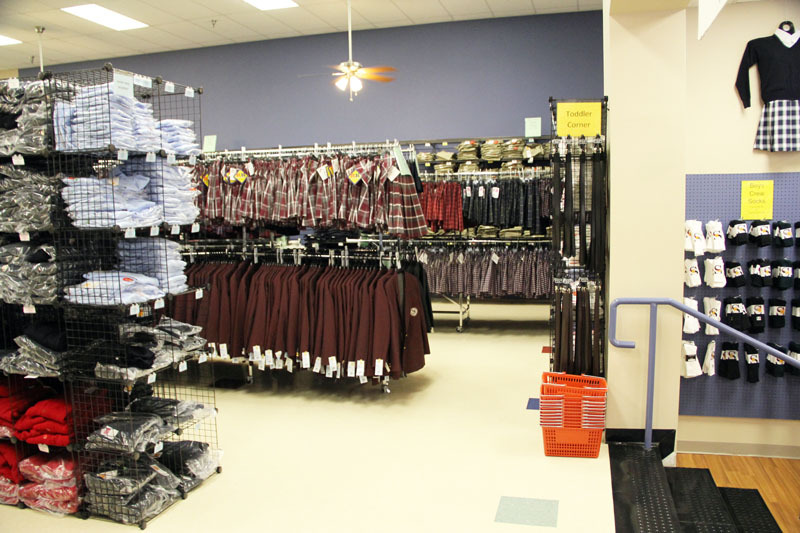 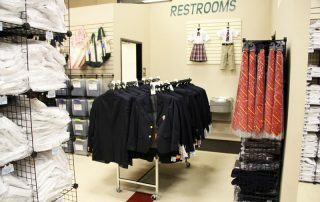 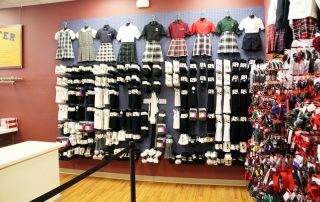 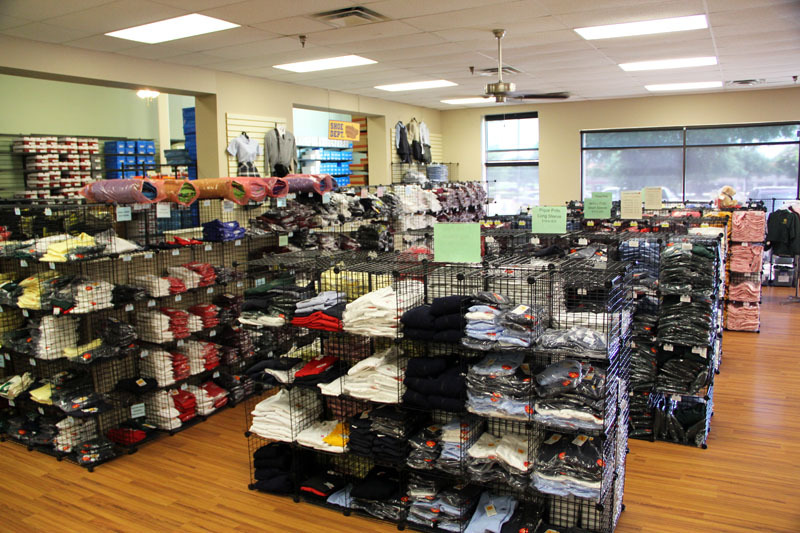 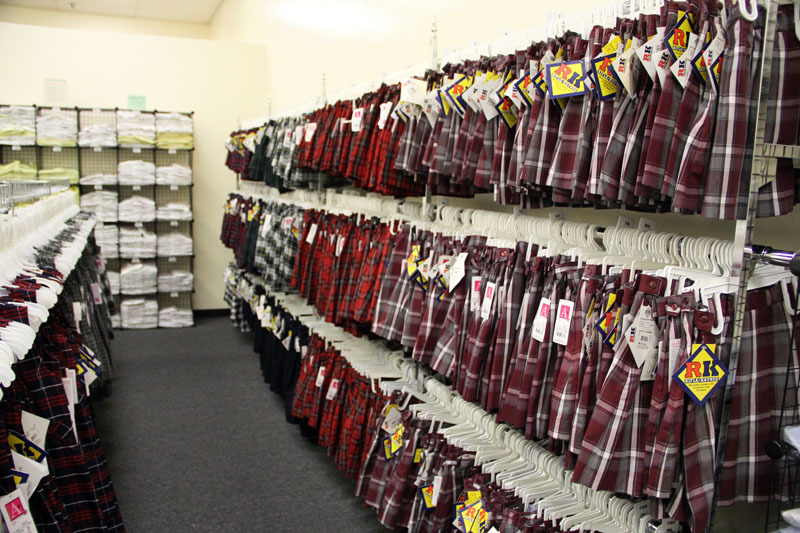 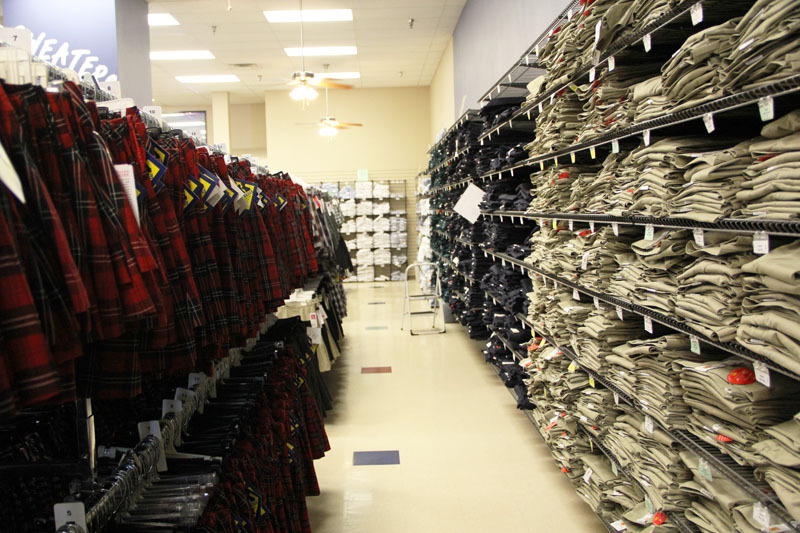 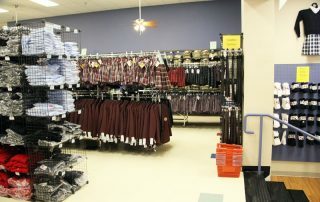 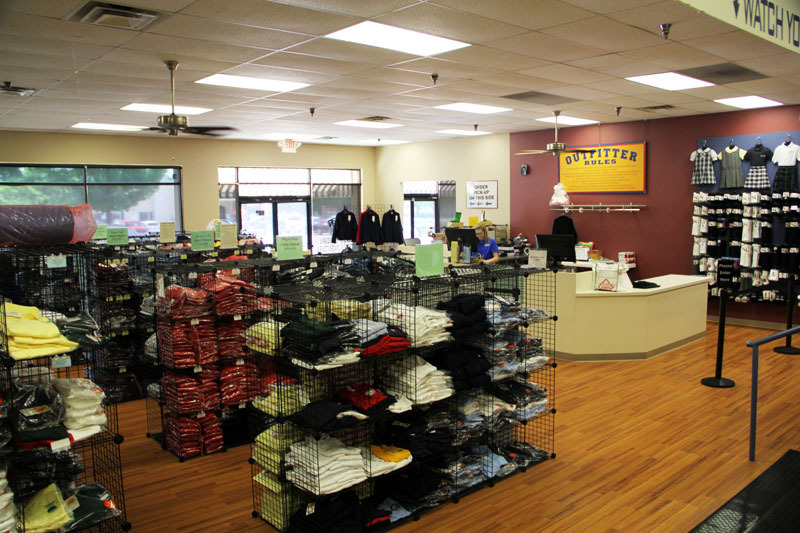 Academic Outfitters is a full service supplier of everything your school needs from toddlers to teens. We bring you the latest in school uniform fashion, functionality, and quality. 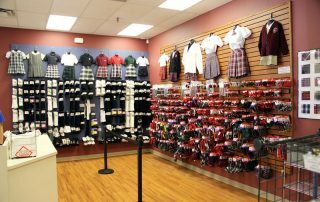 In addition to school uniforms, we also provide PE attire, school shoes, athletic shoes … backpacks, outerwear, and much more so that school families can get back to school shopping done easily and conveniently, all in one place. 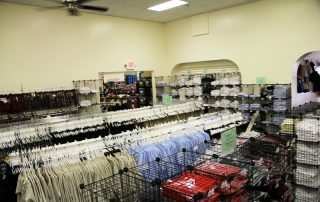 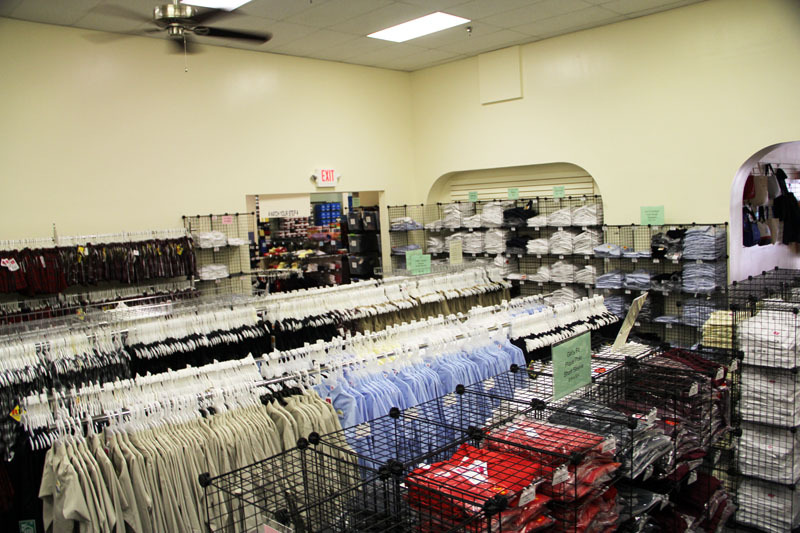 Our store features over 9,000 square feet of inventory, a welcoming environment, and a helpful team, dedicated to providing the most enjoyable shopping experience possible. 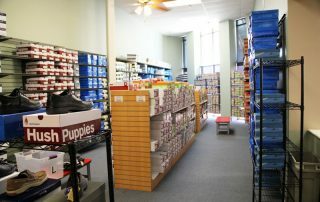 A service-based atmosphere. 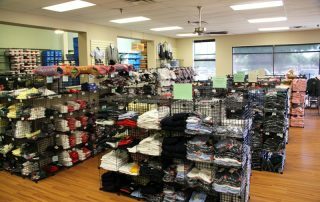 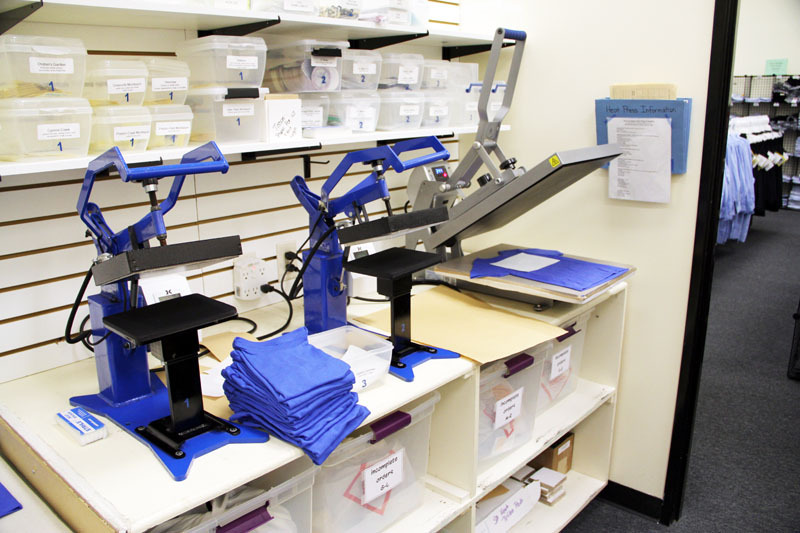 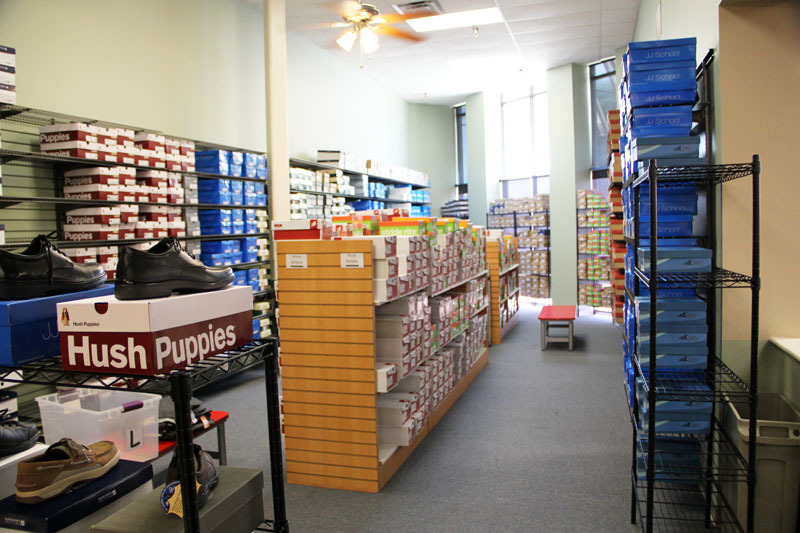 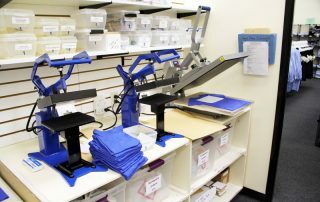 Our store includes an area dedicated to customer service, where customers can pick up special orders, be assisted in returns or exchanges, or simply relay questions about our products and the store itself. Twelve dressing rooms. 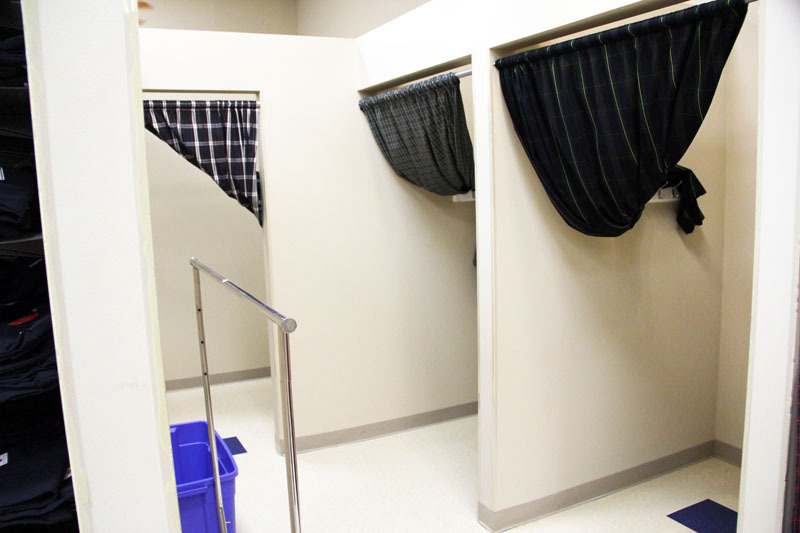 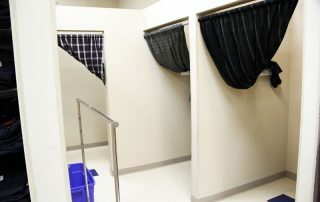 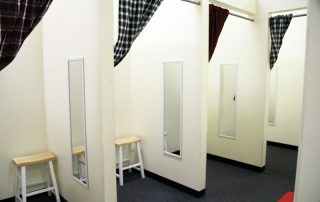 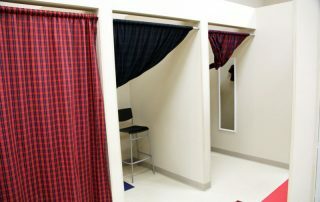 Waiting in lines for a dressing room can be frustrating, so with twelve dressing rooms you are assured of a quick and easy shopping experience. 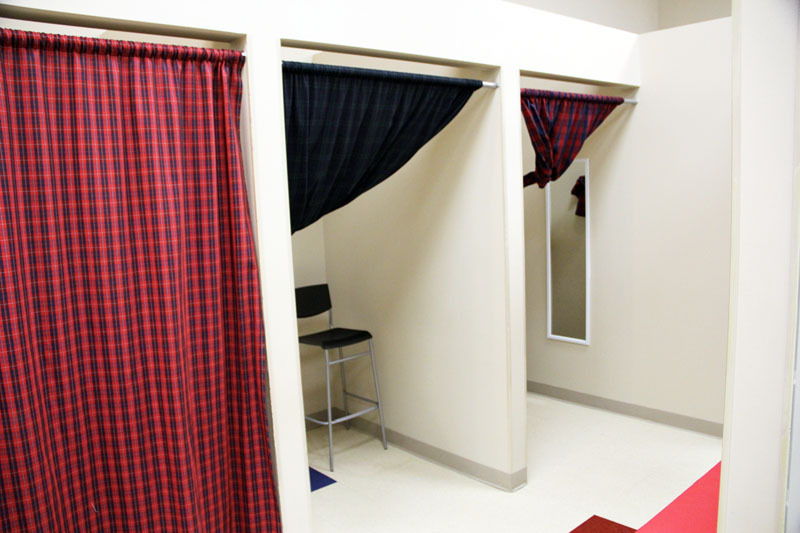 And, our dressing rooms are spacious and suitable for families. 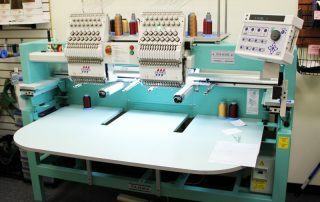 On-site alterations and embroidery. 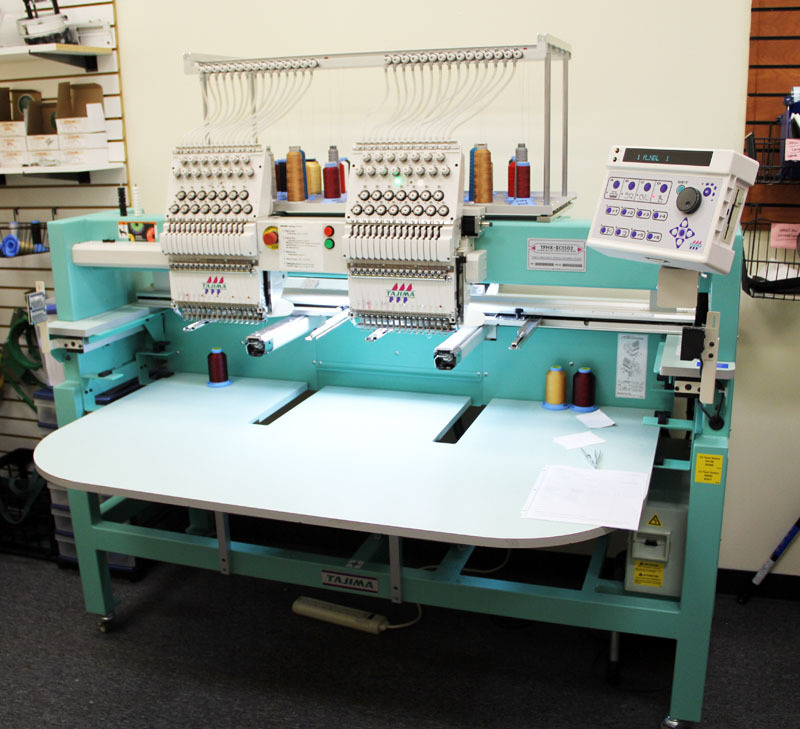 Special orders go straight from the sales area to our alterations and embroidery area, allowing for orders to be completed in a short amount of time. 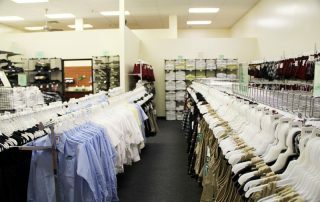 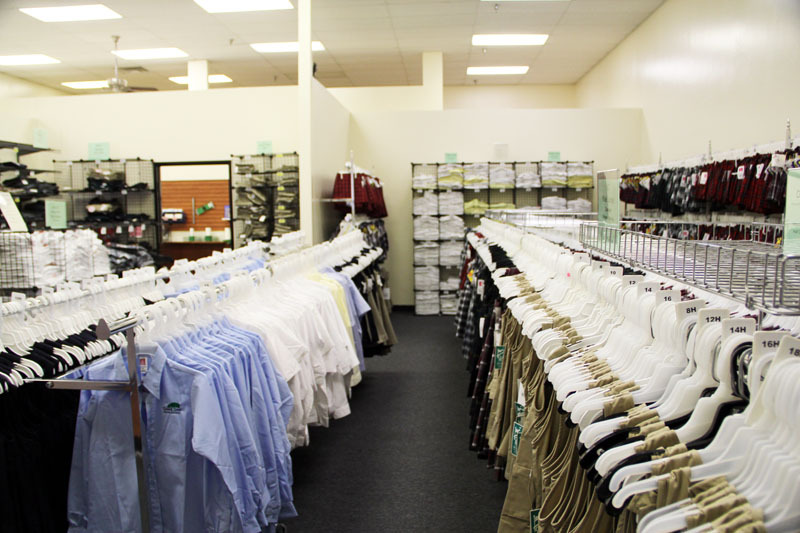 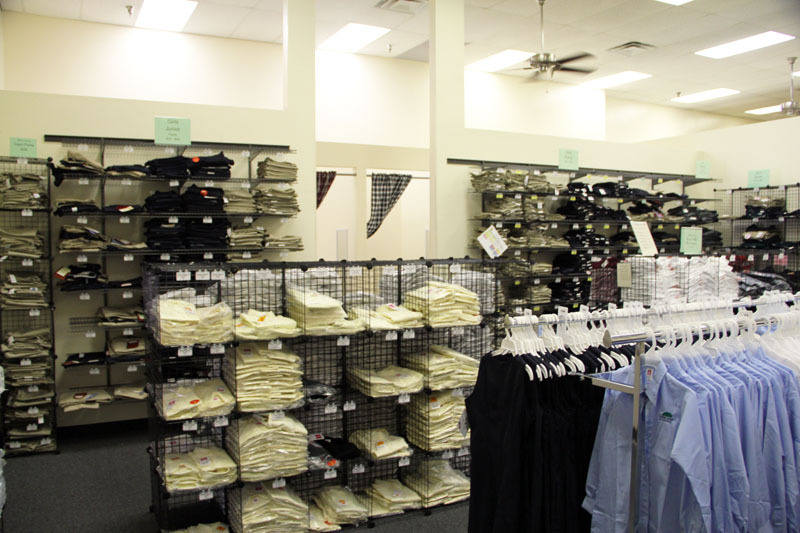 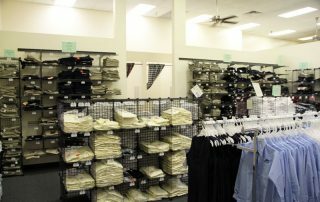 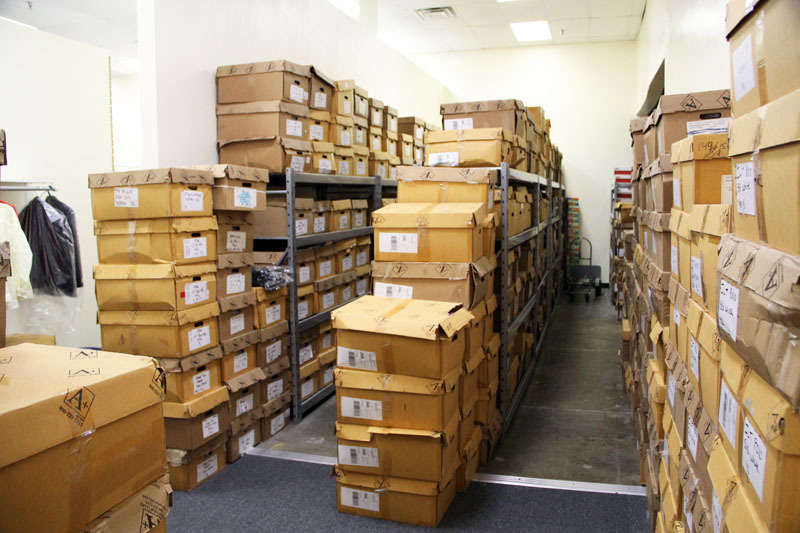 Our on-site seamstress will be able to determine the necessary adjustments to improve the fit of any uniform item.